Quick Boat Fender was developed at Jm JACKSONVILLE MARINA in Jacksonville, FL. Seeing the damage, discomfort and arguments over the placement of boat fenders while docking, the dock master at Jacksonville Marina (my son) came up with a quick easy way to place a fender on a boat. Lets face it, docking a boat can be one of the trickiest and most damaging things you can do to your boat, but after many hours of work, in addition to many prototypes, Quick Boat Fender is now one of the sturdiest, and best looking boat fender accessories ever. 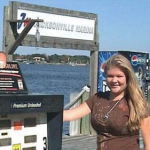 Jacksonville Marina was two miles from the Atlantic Ocean where my eldest son dealt with cruisers, power boats, Yachts up to 200 feet long, bass boats, and offshore fishing boats for more than seven years. Watching boaters struggle with different methods to tie fenders to the sides of boats was a great source of entertainment, and frustration. All day long, the crew at the marina would tie, or at least try and find places to tie boat fenders, in order to dock. Then one day, Jordon came up with the idea of securing a boat fender to one of the sturdiest things on the boat that wasn’t being used while docking, and that was the rod holder. 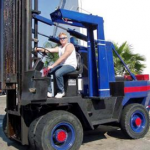 Since then, Jordan’s idea was later refined into the great product we now offer to all our fellow seafaring friends, right here on our humble little web site. 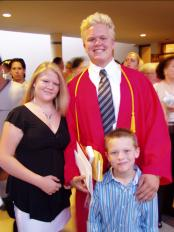 Jordan at his high school graduation with his sister Alex and younger brother Reagan. 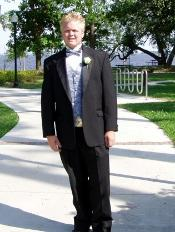 Above Jordan dressed for homecoming. 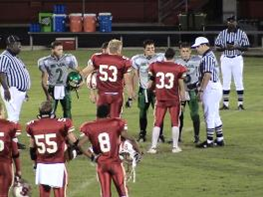 #53, Jordan is going out to flip a coin his senior year playing football. 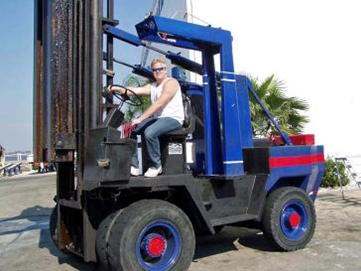 Jordan drives Big-Blue while below Alex works the gas dock. 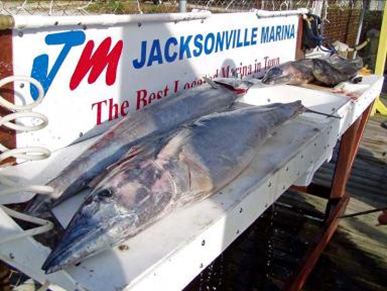 The fish cleaning table was always busy at Jacksonville Marina. Reagan my youngest son, going on a speed boat ride from the dock at the marina. 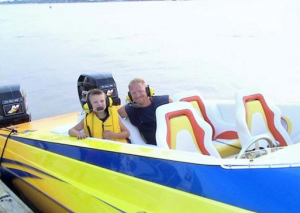 The boat went 110 miles per hour.